Ironically, despite excessive caloric intake, many obese women are deficient in vitamins vital to a healthy pregnancy. This and other startling statistics abound when obesity and pregnancy collide. Together, they present a unique set of challenges that women and their doctors must tackle in order to achieve the best possible outcome for mom and baby. 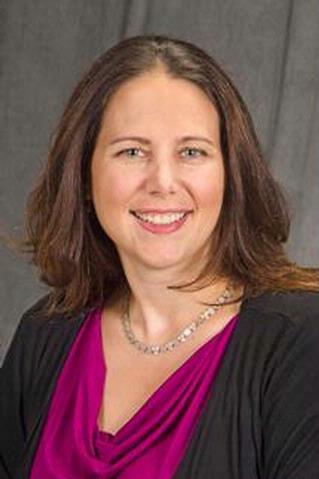 In the December issue of the journal Seminars in Perinatology, maternal fetal medicine expert Loralei L. Thornburg, M.D., reviews many of the pregnancy-related changes and obstacles obese women may face before giving birth. The following myths and truths highlight some expected and some surprising issues to take into account before, during and after pregnancy. Many obese women are vitamin deficient. Forty percent are deficient in iron, 24 percent in folic acid and 4 percent in B12. This is a concern because certain vitamins, like folic acid, are very important before conception, lowering the risk of cardiac problems and spinal defects in newborns. Other vitamins, such as calcium and iron, are needed throughout pregnancy to help babies grow. Thornburg says vitamin deficiency has to do with the quality of the diet, not the quantity. Obese women tend to stray away from fortified cereals, fruits and vegetables, and eat more processed foods that are high in calories but low in nutritional value. Obese patients need to gain at least 15 pounds during pregnancy. In 2009, the Institute of Medicine revised its recommendations for gestational weight gain for obese women from “at least 15 pounds” to “11-20 pounds.” According to past research, obese women with excessive weight gain during pregnancy have a very high risk of complications, including indicated preterm birth, cesarean delivery, failed labor induction, large-for-gestational-age infants and infants with low blood sugar. If a woman starts her pregnancy overweight or obese, not gaining a lot of weight can actually improve the likelihood of a healthy pregnancy, Thornburg points out. Talking with your doctor about appropriate weight gain for your pregnancy is key, she says. The risk of spontaneous preterm birth is higher in obese than non-obese women. Obese women have a greater likelihood of indicated preterm birth – early delivery for a medical reason, such as maternal diabetes or high blood pressure. But, paradoxically, the risk of spontaneous preterm birth – when a woman goes into labor for an unknown reason – is actually 20 percent lower in obese than non-obese women. There is no established explanation for why this is the case, but Thornburg says current thinking suggests that this is probably related to hormone changes in obese women that may decrease the risk of spontaneous preterm birth. Respiratory disease in obesity – including asthma and obstructive sleep apnea – increases the risk for non-pulmonary pregnancy complications, such as cesarean delivery and preeclampsia (high blood pressure). Obese women have increased rates of respiratory complications, and up to 30 percent experience an exacerbation of their asthma during pregnancy, a risk almost one-and-a-half times more than non-obese women. According to Thornburg, respiratory complications represent just one piece of the puzzle that adds to poor health in obesity, which increases the likelihood of problems in pregnancy. She stresses the importance of getting asthma and any other respiratory conditions under control before getting pregnant. Breastfeeding rates are high among obese women. Breastfeeding rates are poor among obese women, with only 80 percent initiating and less than 50 percent continuing beyond six months, even though it is associated with less postpartum weight retention and should be encouraged as it benefits the health of mom and baby. Thornburg acknowledges that it can be challenging for obese women to breast feed. It often takes longer for their milk to come in and they can have lower production (breast size has nothing to do with the amount of milk produced). Indicated preterm birth can result in prolonged separations of mom and baby as infants are admitted to the neonatal intensive care unit or NICU. This, coupled with the higher rate of maternal complications and cesarean delivery – up to 50 percent in some studies – in obese women, can make it harder to successfully breast feed. “Because of these challenges, mothers need to be educated, motivated and work with their doctors, nurses and lactation professionals to give breast feeding their best shot. Even if you can only do partial breastfeeding, that is still better than no breastfeeding at all,” said Thornburg.